This will be a tricky day. You have the Interpol show at Toad's, with the late Kurt Vile Lilly's Pad show happening upstairs. You can definitely catch at least some of Real Estate and all of Kurt Vile if you head straight up there after Interpol. Meanwhile, Modest Mouse is playing at the Oakdale, but the Flaming Lips are playing up in Holyoke at Mountain Park. Anyhow, you have plenty of time between now and July 24th to figure out what you're going to do. No, Interpol's Toad's show is not canceled. Interpol are getting their tour (opening for U2) moving again, which was discombobulated after Bono had to have emergency back surgery. They will again open for U2 come mid-September. In the meantime, Interpol continues as headliner, with Twin Tigers opening, starting here in New Haven at Toad's on July 24. 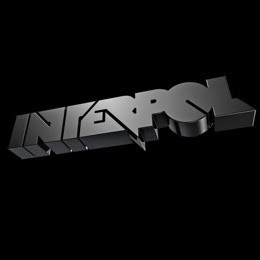 September will also mark the release of Interpol's newest record, which will oddly be self-titled. More interesting is that their bassist Carlos Dengler left the band and was replaced by David Pajo, formerly of the legendary Slint. He's more of a guitarist than a bassist and he's definitely been around the block, having played for the Yeah Yeah Yeahs as a touring multi-instrumentalist, as well as played for Tortoise, Stereolab, and a whole slew of other bands. Twin Tigers are yet another solid Anthens, GA band. Joel Hatstat of Pegasuses-XL, a sort of elecro-dance-punk project, helped record Curious Faces/Violet Future, Twin Tigers' self-released debut EP. They blend tiny and big with soft and psycho, and keep their poppiness on the darker end of the spectrum. 07-24 New Haven, CT – Toad's Place ! 07-25 Baltimore, MD – Ram's Head Live ! 07-29 Richmond, VA – The National ! 07-30 Norfolk, VA – The NorVA ! 07-31 Atlantic City, NJ – House of Blues ! 08-04 Montclair, NJ – Wellmont Theatre ! 08-05 Boston, MA – House of Blues ! 08-06 Clifton Park, NY – Northern Lights ! 08-15 Chicago, IL – Vic Theatre ! Kurt Vile (previously of The War on Drugs) is a guitarist and singer from Philadelphia, Pennsylvania that makes fucked up, delayed, hazy, psychedelic, “bedroom” pop music in which you might recognize early Tyrannosaurus Rex, Devendra Banhart, and Ariel Pink like sounds. He plays both solo shows as well as shows with a backing band called The Violators. He just released a new EP called Square Shells. This is Kurt Vile and Sore Eros! 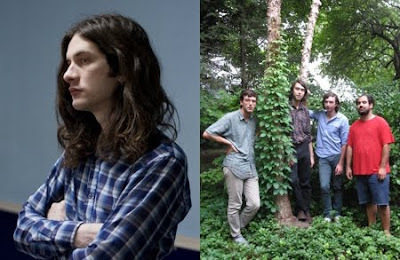 Sore Eros' Robert Robinson used to be a member of Kurt Vile's band. I was told he's from Enfield, CT but is now based with our favorite northern neighbor Northampton, MA. He reminds me of the Supreme Dicks, which used to be based in Northampton, but that was ages ago. Doors 7:30. General Admission only. Tickets $35. I hear this is Modest Mouse's first time playing here in Connecticut. They have been around for a long time now, and are known for being one of those unlikely bands that broke into the mainstream. Johnny Marr is out now, not sure if Grandaddy guitarist Jim Fairchild is still in. The Moon & Antarctica got a recent vinyl reissue, which you should go buy from Redscroll Records. 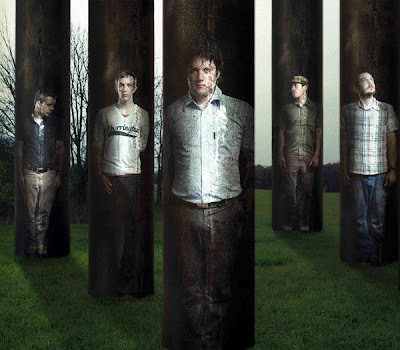 Isaac Brock's Glacial Pace Recordings is now completely controlled by Brock, allowing him to help up-and-coming bands, such as the opener for this show, Morning Teleportation. Morning Teleportation is a five-piece psychedelic band based out of Portland, Oregon. They create a high-energy, tripped-out dance-off and sing-along using energetic instrumentation that includes banjo, talkbox, synthesizer, trumpet, and theremin. Their debut album was produced by Isaac Brock of Modest Mouse and is soon to be released on his Glacial Pace Recordings. I have no idea what to do... mind is blown. I believe this is the second time Modest Mouse will be visiting Ye Olde Connecticut. Yeah, it seemed odd that they would never have played here whatsoever. I dug around to confirm one way or the other, but couldn't find anything. But maybe because I only spent about two seconds researching it. see ya at kurt vile!